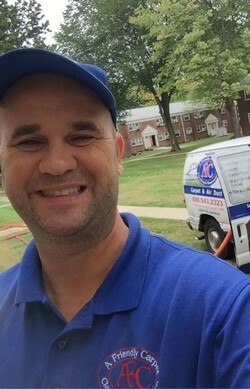 Proudly cleaning carpets in Bayonne, NJ and nearby towns since 1995, A Friendly Carpet Cleaning & Restoration LLC is a trusted provider of residential and commercial carpet cleaning throughout Hudson County. We offer a wide range of carpet cleaning and hard floor cleaning services, and are experts in Bayonne area oriental rug cleaning, oriental rug restoration as well as water damage restoration and emergency water extraction. 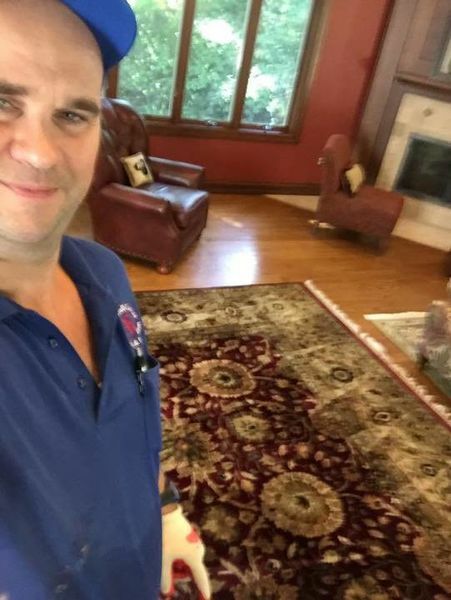 Owner, Paul Federal, has built this carpet cleaning business on the sound principles of delivering the best service possible, in a professional manner, at a reasonable price. In response to customer requests, we have added tile and grout cleaning to our list of service offerings! Call us today to schedule your next carpet cleaning, upholstery cleaning, or tile & grout cleaning in Bayonne or any surrounding town. Get 1 rug cleaned at regular price & get the 2nd rug cleaned at 50% off! We answer the phone live & you will always receive prompt responses. You're calling an IICRC Certified Technician with over 19 years of experience. You get a FREE, honest price quote, every time! We offer FREE Scotch Guarding & Warranties with Double Cleaning! 100% Money Back Guarantee. If you aren't pleased, you shouldn't have to pay. Period. We use the highest quality equipment for carpet cleaning. You can schedule regular, hassle free carpet maintenance. Oriental Rug Cleaning in the Bayonne Area: Caring for an oriental rug is unlike caring for a standard area rug or carpet. Oriental rugs are valuable, fine woven rugs that can easily be harmed with harsh cleaning products or equipment not designed for the delicate material. As experts in cleaning oriental rugs in Bayonne, A Friendly Carpet Cleaning & Restoration LLC has specialty training to ensure your oriental rugs will be cleaned and properly cared for by our certified technicians. If you're looking for the best oriental rug cleaning in Bayonne, NJ - look no further than the specialists at A Friendly Carpet Cleaning & Restoration LLC. Call (973) 264-9133 for an estimate. Bayonne Area Water Damage Restoration: Your trusted carpet cleaning company also handles emergency water extraction in Bayonne and throughout the area. Whether from Mother Nature or a burst pipe, water must be removed quickly to avoid microbial growth and further damage to your property. The technicians at A Friendly Carpet Cleaning & Restoration LLC are standing by and available for immediate assistance to restore your property. Call (973) 264-9133 now for prompt Bayonne emergency water extraction and restoration services. Call A Friendly Carpet Cleaning & Restoration LLC at (973) 264-9133 to learn more about carpet cleaning in the Bayonne, New Jersey area.